Please, note that for this plugin, you do not need to activate the license right away in order to use it. You need to activate it when you want to update the plugin to a new version. After installing the plugin. 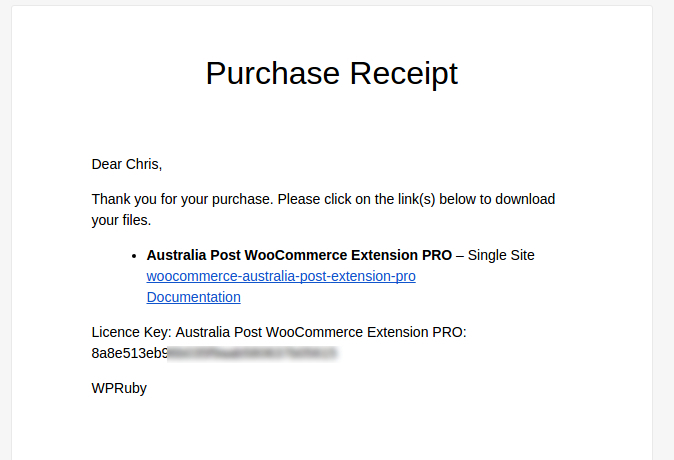 Please, go to WooCommerce » Settings » Shipping » Shipping Zones. Then add Australia Post to one of the zones, then you can access the settings page by clicking on the added shipping method. At the right of the settings page, click on Add/Update Your License. Copy your license key and paste it in the activation page and then click on “Save Changes”. The page will inform you that you successfully activated your license. Now, you can get back to the plugin’s settings page and configure it as you wish.